BullFrog sunscreen is part of an overwhelming array of sunscreens available. So let’s take a look at it and see what it can do for you. The first thing that should interest you is the effectiveness of the product. This sunscreen, like most sun protection products in the market can do its primary job just fine. The product is also regulated by the Food and Drug Administration and so it is not surprising that this sunscreen is effective and resistant to water. Most of these boast of a fast-dry formula that instantly provides both UVA and UVB protection. Of course, like other sunscreen products, they also claim to last long in your skin. However, your dermatologist would most likely ask you to reapply every two hours even if your sun protection product is labeled as an “all day formula”. If you are looking for a UV protection product that not only would give you protection but something that you would want to slather on your body, BullFrog can be a little bit of a disappointment, at first. If you judge a sunscreen using a sniff test, you would not like the smell of Bullfrog Sunscreen because its initial smell would remind you of the antiseptic smell you usually notice in doctor’s offices or in the hospital. But not to worry, the antiseptic-like smell usually goes off and resolves into a nice aroma of orange peel. Bullfrog claims and advertises that its dark yellow, transparent gel is sweat and waterproof. It also advertises of its ability to dry instantly on the skin. It definitely does dry quickly since it is made up of a lot of alcohol. However, consumers also complain of a greasy stain left on clothes and often times, it also leaves a grainy texture in the skin after it is dried. When tested under the sun, BullFrog sunscreen manages to retain its consistency. Special instructions provided by the manufacturer include keeping it out of eyes and to stop use and consult a doctor when irritation or rash develops. The product is recommended for almost all ages but use for babies under six months old needs the approval of the family doctor first. Remember to follow instructions provided by your doctor on how to use sun protection products. 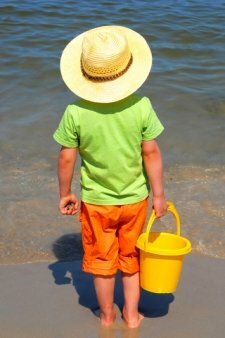 BullFrog sunscreen product recommendation should be read before applying it to your skin. Adhere to dermatologist advice on applying sunscreen creams, lotions, sprays, or wipes at least two hours before you get exposed to the sun. BullFrog products usually give specific direction of reapplying after prolonged sun exposure, prolonged swimming, vigorous activity, and after towel drying. 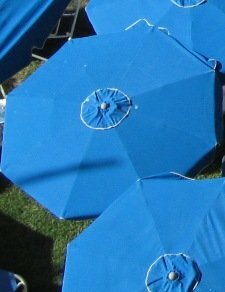 Experts say that even if you use physical barriers like sun protection hats, long sleeved clothes, and umbrella, you can still get ultraviolet light radiation since it usually comes from an angle and can penetrate through clothes, glass, and plastic. To be sure that you are protecting yourself, use UV protection products like BullFrog sunscreen .